The Madison Mallards and Festival Foods are excited to continue their commitment to community involvement in the Madison area with the return of Festival Foods Shake the Lake. Now in its fifth year, the free community celebration is planned for Saturday, June 29, 2019. Festival Foods Shake the Lake will feature live music, food and family activities on John Nolen Drive between Broom Street and Blair Street. The event will start at 5:00 PM again this year. The 2019 event will again feature two stages of national music acts, on each side of the Monona Terrace. A full lineup of musical performers will be announced at a later date. The event will conclude with Wisconsin’s largest fireworks display, the Festival Foods Fireworks show, starting at 10 p.m. Reeseville, Wisconsin-based Spectrum Pyrotechnics, will conduct the fireworks show. The company is one of just a few manufacturers of display fireworks left in the United States, and Festival Foods Shake the Lake is honored to present its custom work. Fireworks will be fired from multiple barges on Lake Monona, and the show will be choreographed to music with fireworks and effects selected to match the soundtrack. Great free views of the Festival Foods Fireworks will be available on John Nolen Drive, where there will be food, beverages and family entertainment for the duration of the event. 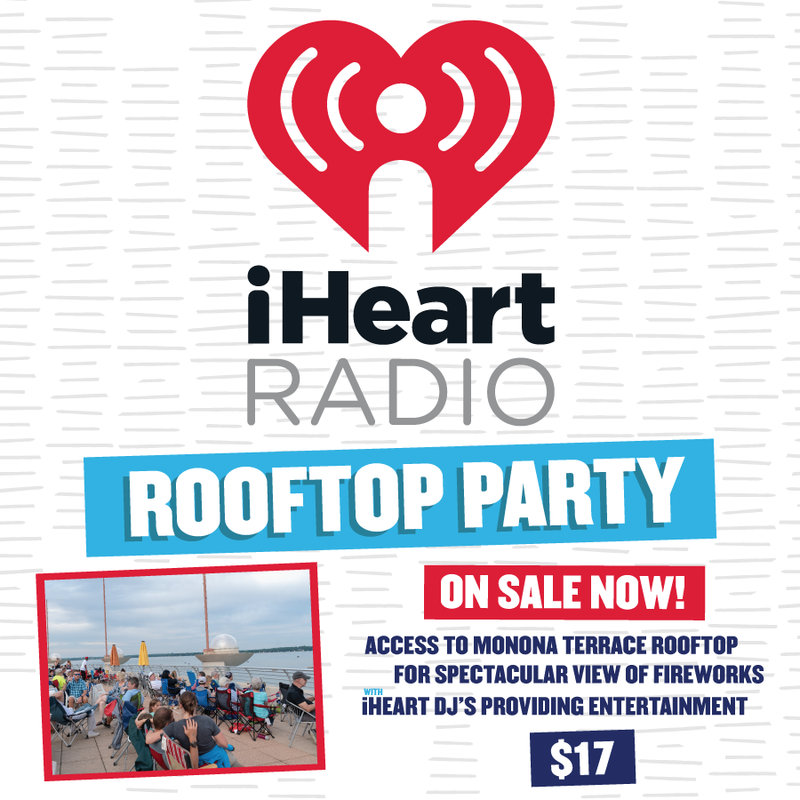 Reserved tickets to enjoy the spectacular views of the show from the Monona Terrace Rooftop during the event will go on sale on March 21st at 10am. Tickets this year will be $17 and will increase to $20 on June 1st. This event has sold out the last four years. Purchase tickets by calling the Mallards Office at (608) 246-4277 or visit shakethelake.org. Founded in 1946 as Skogen’s IGA, Festival Foods is a Wisconsin family and employee-owned grocer that is committed to giving back to the communities it serves and to providing guests with exceptional service and value. The company began operating as Festival Foods in 1990 and today employs more than 7,000 full and part-time associates. The company currently operates 32 full-service supermarkets across the state of Wisconsin. The Madison Mallards are the nation’s most successful summer collegiate baseball team averaging more than 6,000 fans per game in each of the last 13 seasons. Founded in 2001 by Steve Schmitt, the Mallards employee more than 400 seasonal employees and are committed to executing affordable, family friendly community events for the people of Greater Madison.